Move in today and save up to $65k here at the new Central Surrey Fuse condos and towns for sale! Introducing a handful of fresh flats and trendy towns here in the Central City Surrey real estate market, the Fuse condos offer studios, one, two and three bedroom plus den condominium and Surrey Central Citytownhomes for sale up to 1307 square feet in size. FUSE Central is where life comes together. TAKE ADVANTAGE OF GREAT SAVINGS OF UP TO $65,000! * The pre-sale Surrey FUSE condos and urban towns was initially sold out in a record of 1.5 hours on opening day. With a limited number of pre-construction Surrey condo homes that have come back at the right time, pre-sale Surrey FUSE condos and urban townhomes for sale is re-launching! With historically low mortgage rates, don't miss out on a great second opportunity! The new Central Surrey FUSE real estate development offers Studios, 1 + Den Flats and 2 and 3 Bed + Den Towns up to 1,307 square feet all infused with quality finishes by i3 Design Group. Granite countertops, laminate flooring, stainless steel, porcelain tile, glass tile accents, duo tone cabinets, fireplaces, and Central City FUSE condos, fully furnished amenity space with tech workstations, boardroom, 42 inch plasma TV, kitchen and much more! OWNERSHIP at the Surrey FUSE condos and townhouses AS LOW AS $679/month or 0% Down Payments! * The presale Surrey FUSE condominium Central City homes are affordably priced from the $120’s for a studio and starting in the $280's for a 3 bedroom plus den new FUSE Surrey townhome! Plus you can move in today and have no Surrey real estate presale worries! HERE IS A LOOK AT HOW AFFORDABLE FUSE REALLY IS...FOR A FULL 5 YEARS! IT’S BETTER THAN RENT! SURREY REAL ESTATE Central City FRESH FLATS AND TRENDY TOWNS IN THE NEW UPPER UNIVERSITY DISTRICT. Live in the New Upper University District. FUSE Surrey condos is just a few minutes walk to Central City... home of Simon Fraser University, shopping, restaurants and services and kitty corner to the City's first truly urban park with water feature, stage events, 1 km walking loop, vertical and sculptural artworks. Get more out of life here. This is your opportunity to own a piece of the action here at the Central City Surrey condos at FUSE! Drop in today or call me directly at 604-644-9700 for more details! The pre-sale Surrey FUSE Central City condo Display Home is located at 13239 Old Yale Road, Surrey and is open from Noon – 5PM daily (except Fridays) Come by today and don’t regret it! Sincerely, Central City Surrey FUSE Sales Team - Greg, Sales Manager at 604-644-9700 or #27 - 13239 Old Yale Road. Surrey real estate marketing by Fifth Avenue. A great blend of urban flats and pre-construction Surrey townhouses are now available at the FUSE real estate development located in the hip and new Upper University district. The pre-sale Surrey FUSE apartment flats start from an incredible price point of one hundred and twenty thousand dollars. The masterplanned community also features new Surrey FUSE townhouses that start from just two hundred and forty thousand dollars and all units here are less than $300k. Spectacular and beautiful, these Upper University District Surrey flats and apartments have white on grey facades and the neighbourhood itself is both contemporary and modern. From the white fireplaces in the living rooms to the gourmet style kitchens with s/s appliances and lots of storage space, every detail has been designed and integrated into the preconstruction FUSE Surrey flats and townhouses for sale. Also, granite finishing, high gloss white coupled with rich brown tones and massive bedrooms are other features that you will need to check out. Great for an investment or for first time Surrey home buyers, the townhouses and FUSE flats for sale also provide parking and storage. The community will be fully professionally landscaped and the presentation centre for the FUSE apartments and townhomes is at 13239 Old Yale Road in Surrey. The Fuse Surrey condos has a new show home that is open noon to 5pm daily except Fridays. Fuse pre-construction Surrey condos for sale is a funky fusion of cool and comfort, contemporary and urban chic. Whether you’re moving up or just starting out, these trendy Surrey city Fuse condo flats offer all the features you crave plus a tough to beat location in the heart of Surrey Central City, the hippest new neighbourhood in the Lower Mainland’s fastest growing municipalities. Just steps from SkyTrain, SFU, plus an outstanding selection of shops and restaurants, homebuyers here at the pre-construction Surrey FUSE condominium residences will not be disappointed. Prices for these pre-sale Surrey FUSE condos for sale start from the $120,000s range with floor plans ranging from studios to three bedroom and den condominiums at 1307 square feet in size. For more information about the pre-sale FUSE Surrey Central City real estate development, please visit the FUSE sales centre at 27 – 13299 Old Yale Road or call 604.583.3744. Pure uptown living is what you’ll find at Max Condos in Surrey’s real estate marketplace. A collection of 60 boutique style urban flats at Max condominiums is designed with classic brick architecture, richly textured beams, and chalet inspired peaks. Inside you’ll find features to satisfy your craving for contemporary comfort: granite counters, stain less steel appliances, and sunny, open floor plans at the Surrey real estate Max Condos. Included in the lifestyle is an exclusive amenities area with billiards, fireside lounge, and wet bar for entertaining larger groups. And with a location only steps from the soon to be totally refurbished and reinvented Guildford Town Centre, you know you’ve go the best of all worlds right at your Max Surrey Condo doorstep. Prices for these Surrey real estate properties start in the $170,000s with sales expected to begin in early spring. For more details and to priority register for this pre-construction Surrey condo project, call 604.583.3873 or visit www.maxon150.com. MAX urban flats in Guildford – Max out on your options. Surrey’s Max is pure uptown living with entertaining, elegance and style. Classic architecture with brick, textured beams and West Coast style is what the Surrey real estate property development is about. Max out on everything that energizes your life according to their online real estate marketing campaign. Max out in a neighbourhood filled with heady urban energy. Max out on life your way. Lap up the urban dynamics of a new $250 million Guildford Town Centre starting its first phase very soon in Guildford Town Centre in Surrey! Everything you need is right across the street and around the corner from your private residence condos at Max Surrey. For a MAX life, move in Spring 2009. Updated July 2009 - MAX Guildford Condos Now Selling Out – Final Sales! With one bedroom Surrey MAX condos selling from the $190’s range and two bedrooms from the $250’s there is no better value in the Surrey real estate market then these Guildford Max apartments. Whether you are investing or buying your first home, the pre-sale Surrey condos at MAX living certainly give you the best of all worlds. MAX is a limited collection of one bedroom (some with dens), two bedroom (some with den) homes designed for entertaining in elegance and style. Architecture with classic brick, richly textured beams and chalet inspired peak roof lines in pure West Coast style. Experience a trend setting neighbourhood in the Guildford Surrey real estate market here at the MAX condo apartments today with a brand new look at Guildford Town Centre. Live well in designer presale Surrey condominiums today. Visit the presentation centre today with new show home available for sale as well! Open noon to 5pm (but closed Fri) on site. Starting prices for the pre-sale Surrey MAX condos for sale are exclusive of GST. Shopping Centre future plans provided by Ivanhoe Cambridge Group with permission. Save up to $100,000 today and move in January 2010 into your new MAX Guildford apartment home. Marketed as trendy flasts for sale near Green Timbers Surrey Guildford real estate development features affordability and great design with over 24 different floor plans to choose from. These presale Surrey MAX city flats with turret style living rooms on the corner suites are priced from the $190,000s. Some of the incredible first class features of these trendy Guildford city homes at MAX Surrey include fireplaces, laminate hardwood flooring, oversized windows, kitchens with Frigidair high-end appliances and granite counters. In addition, the neighbourhood of Guildford Surrey is an amazing redeveloped community already with shops and services within walking distance. Located near the Green Timbers Urban Forest with great trails, the pre-sale Surrey MAX condo apartments are now selling. Other new Presales Surrey Real Estate Condos include the Morgan Crossing Central Condos and Waterstone Promenade Condominiums. As part of our commitment to roll out information to you before the general public, we are pleased to announce the wait is finally over and as a MAX "A" List Condo pre-sales registrant you are the first to know! The response for MAX Condo urban flats has been overwhelming! The finishing touches on our new Presentation Centre are complete and soon you will be invited to preview what MAX Surrey real estate has to offer! With only a limited collection of Flats featuring elegant and stylish 1 bedroom and 2 bedroom homes, some with dens, will soon be for presale. Guilford Surrey pre-construction MAX condominiums is the most ideal place to live in this vibrant new neighborhood. With just a stone throw away from Guildford Town Centre and its new future revitalization, why miss out on an opportunity like this! MAX will be available very soon, so stay tuned for more details in the coming weeks! Yours Truly, Greg King - 604.644.9700, Sales Manager, Fifth Avenue Real Estate Marketing Ltd.
SAVE 3%* BY BECOMING A MAX V.I.P. As a MAX Condo "A LIST" registrant you are being given first opportunity to attend our V.I.P SNEAK PREVIEW EVENT, where you can save 3%* off the purchase price for this new Surrey real estate development! Save up to $12,000 by previewing before the general public and purchasing on VIP Selection Day. A GLIMPSE AT MAX SURREY CONDO PRICING: 1 Bed Flats from $190's, 1 Bed + Den Flats from $220's, 2 Bed Flats from $280's, 2 Bed + Den Flats from $290's. SAVE THE DATE: The City of Surrey real estate market is hot. Guildford is even hotter. With an unprecedented response to our on-line web registration, we are now preparing our V.I.P reservation program for the much anticipated release of MAX Condominium Residences. YOU ARE INVITED TO OUR SNEAK PREVIEW: Dates of Sneak Preview: Wednesday June 4 - Thursday June 12/08. (Exclusive to on-line registrants only). Appointment Times: 5 - 7pm weekdays, 1 - 4pm weekends. RSVP for booking a VIP Preview Appointment at the Surrey Guilford Max Condo presale event: Call the Sales Centre at 604-583-3873 or our V.I.P Hotline at 604-644-9700. Registration bookings will be accepted commencing June 2, 2008. Sneak Preview Appointment: We will provide all the information you need to make an informed decision on your purchase preferences at the Max Guilford Surrey condo development. Presales and pre-construction condos at Max Living will not occur at this private event. This will be a relaxed time with you and our very knowledgeable MAX Surrey condo team members who will be ready to answer any of your questions. If you like what MAX Surrey Condominiums in Guilford community has to offer, you can secure your place in line by filling out the selection sheet and leaving a fully refundable deposit of $1,000. This will guarantee a place for you on the actual sale date that will follow soon. Benefits: As a valued VIP registrant, you are being given first opportunity to learn about the great new Surrey Condo MAX community and to be amongst the first for an opportunity to purchase before the general public release. Our goal is to provide you with a great experience so you can purchase the new Surrey home that is just right for your needs and at the best early initial pricing. Become a new Guilford Max Condo VIP insider. Call today. We look forward to meeting you soon, Fifth Avenue Real Estate Marketing Ltd.
Get Max savings by booking your preview now! Previewing now entitles you to Max VIP benefits. Max Savings of 3% plus the Max Flex deposit program can now be yours for this new Surrey condo development. Max is all about designer trendy Surrey flats. For entertaining in elegance and style. Be part of Guildford Town Centre’s $250 million planned revitalization project …. Right next door to Max Surrey Guildford condominium tower. Guildford’s newest west side flats from $190,000 in pre-construction sales (which represents about $359 monthly). Book your VIP sneak preview appointment today! Call the Max condos VIP hotline at 604.644.9700 or register online at maxon150.com. Some sample pricing and floorplans for the Guildford Max condos includes a one bath and one bed unit with $41,053 investment with monthly payments of $359 and gross combinec income required at $35,900 or the large 2 bed/2bath Max condo plus den that requires $15,990 investmnet down with a monthly payment of $759. GET MAX SAVINGS... 40% OF PRESALE SURREY MAX CONDO HOMES VALUE PRICED UNDER $250'S! As a pre-registration Surrey MAX urban flats Registrant, we want to let you know how you can get the best pricing, best locations and the best savings available than anywhere else. Owning a presale Surrey home at MAX Apartment urban condos is as easy as $639 a month OR starting from only $10,358 down*. For a limited time, when you visit our MAX Surrey condominium presentation centre this weekend, you can secure your home with our $5,000 MAX FLEX Deposit Program*. Right now, you can get pre-construction Surrey real estate pricing still with 1 BED + DEN from the $190’s, 2 BED from the $240’s and 2 BED + DEN from the $280’s. This represents the best value in all of Surrey condo offerings right now at the MAX Guildford properties. GUILDFORDS NEWEST WESTSIDE URBAN FLATS - MAX Guildford condos is a limited collection of 1 bedroom, 1 bedroom plus den, 2 bedroom, 2 bedroom plus den homes designed for entertaining in elegance and style. These new presale Surrey MAX Urban Flats start from the $190’s. Live well in designer Guildford Condominiums. GUILDFORD’S REMARKABLE PLANNED TRANSFORMATION - Lap up the urban dynamics of the newly planned $250 million Guildford Town Centre rebuild. Everything you need is right across the street or around the corner in this emerging West Side Guildford locale. The planned future revitalization* of Guildford Town Centre is incredible and see why the pre-sales MAX Surrey Guildford condos is truly pure uptown living. Visit our New Presentation Centre located at 10307 150th Street (across from the Guildford Town Centre) today! Sincerely, MAX Sales Team, Karen O'Hare, Sales Manager at 604-583-3873 | 604-728-9428 | Fifth Avenue Real Estate Marketing Ltd. | karen@fifthav.com | www.maxon150.com. *Guildford MAX presale condo financing packages are available for specific new Surrey MAX homes only on a first come first serve basis upon unconditional agreements of purchase and sale. Beneficial interest rate caps with our partner bank provide guaranteed financing at preferred rates for your pre-construction Guildford condo purchase. Payments include Principle, Interest, CMHC fees, net GST (3.2%) on a 35 year amortization. Income required is Gross Combined Income. Incentives may not apply to purchaser selected lenders and may be withdrawn without notice. Term of mortgage for your new Surrey MAX condos at Guildford community is 3 years with a mortgage subsidy until approximately January 2011. Promotion is limited, so act quickly and save! Promotional financing incentives and financing structure is only applicable to owner/occupiers, O.A.C. and insurance underwritten. Financial examples are projected estimates for specific new Surrey MAX urban flat homes. Starting prices are exclusive of net GST. Interest rates used are effective 29/09/08 and are subject to change without notice. Please see sales staff for more details on getting started with the $5,000 MAX FLEX Deposit Program. Shopping Centre future plans provided by Ivanhoe Cambridge Group with permission. E. & O. E. Don’t miss out on these incredible pre-sales offerings at teh Surrey real estate development at Guildford MAX urban flats! Southport White Rock single family homes are now available for sale in the popular and ever growing community of South Surrey BC. With easy access to a host of shopping and outdoor recreational options, the waterfront homes at the White Rock Southport neighbourhood satisfies the discerning home buyer with a vibrant array of interior features and an impeccable location along the Nicomekl River and Nico Wynd Golf Course. ParkLane Homes presents the Southport South Surrey/White Rock real estate development that starts from just under $700k representing the best value property in all of the region. In addition, these are no longer pre-construction White Rock homes for sale. The Southport South Surrey houses are complete and ready for move in so there is no waiting time. You can even move in before the holidays and celebrate the holidays and Christmas with your loved ones in your new home. The home you deserve is here at the waterfront Southport Single Family Homes in White Rock real estate market and are brought to you by ParkLane Homes. With open floor plans with verandas and cottage style rooflines, and from great rooms to extra bedrooms, the spacious presale Southport waterfront homes in White Rock/South Surrey district also provide refined kitchens, ensuites with lavish features including soaking tubs and separate shower stalls in addition to fully finished basements for media rooms or extra storage. The pre-sale White Rock Southport waterfront homes also provide a great lifestyle in the South Surrey real estate community that is close to outdoor pursuits including golf, kayaking, canoeing and the Foreshore and Semiahmoo Trails. In addition, the White Rock Promenade and Crescent Beach are just minutes from your new White Rock Southport waterfront home in addition to numerous dining and shopping options. For a limited time offer before the new year, you can purchase a new South Surrey Southport home along the waterfront from just $699,900 and also move in before the new year. There are less than a dozen opportunities remaining, so please visit them at 36 A Ave in South Surrey. The entire White Rock real estate development consists of only seventy one riverside White Rock homes at Southport. Find a perfect balance between health and home at Surrey Salus city homes and apartment condos, Adera’s newest collection of apartment and city homes in a well established neighbourhood bordering Surrey and Delta (Scott Road and 66th Avenue). Inspired by Coastal Mountains, resort style living, these Salus Homes in Surrey embrace nature and are created by BuiltGreen standards so you can rest easy knowing your Delta Surrey Salus apartment condo residences is not just beautiful but respectful of the environment as well. Relax and rejuvenate at your own private spa mere steps from your front door at the city homes at Salus Surrey Delta apartments. For more information about the Salus Adera city homes in Surrey, please call 604.507.0065. You can also read more about the apartments and homes at Surrey Adera Salus real estate development online at www.adera.com. Brought to you be Adera real estate developers, Salus is a collection of spa-inspired homes and apartment flats at Scott Road and 66th Ave in Surrey bordering North Detla. Boasting all the upscale features today’s savvy homebuyers insist on, these Salus homes are also BuiltGreen certified, so you know your home is designed to be healthy at the same time it minimizes its environmental impact. Savour the amenities at Club Aqua at the pre-sales Surrey Salus cityhomes where you can relax and rejuventate in your private spa that’s mere steps from your front door. Or explore the many shops, restaurants, and other city amenities nearby. Sales for the Salus apartment residences and Surrey city homes presales start in March so be sure to register today to receive priority invitation. For more details and to pre-register for the presales Surrey Salus city homes, call 604.507.0065 or you can visit www.adera.com. More information about the new pre-construction Surrey Salus Condos are located online. Ready to move in today, Ovation Townhouses in Surrey offers a selection of 37 three bedroom townhomes at 71st Avenue and 179th Street in Surrey. At Ovation townhomes, you’ll have plenty of space to fit your lifestyle – from 1,754, to 1,762 square feet including media room, two full bathrooms, and the conveninece of a main floor powder room. Each Surrey townhome at Ovation boasts a private back yard and two decks for enjoying the great outdoors. Gourmet kitchens include granite countertops and maple cabinetry. The Surrey Ovation townhomes presentation centre and display home open February 23rd at 36 – 7168 – 179th Street (just off Fraser Highway) and will be open noon to 5:00pm except Fridays. For more details about the Ovation Surrey real estaet townhome development, please call 604.576.0224 or you can visit their website at www.myovation.ca. Ovation Surrey Condos opening February 23rd, 2008 – There is no space like home is their marketing tagline. Move-in Today! Bring your family and enjoy up to 1,762 square feet of creative space, open deisgn and quality finishes. Experience the luxury of a great room at the Surrey Townhomes at Ovation, island kitchen with walk-in patnry, three large bedrooms, media room and double garage. Each Surrey real estate townhome at Ovation town houses has two decks and a spacious fenced bakyard, surrounded by lush landscaping. Close to shopping, schools and recreation and only from $359,900. The My Ovation Townhomes presentation centre in the Surrey real estate market is open noon to five pm daily except on Fridays at 36-7168 179th Street. You can visit myovation.com or call 604.576.0224 for more details. Found on 192nd Street in Surrey’s ever evolving East Clayton neighbourhood, Solana Townhomes is a bright, stylish collection of 54 townhomes. These Surrey estate-insipred residences feature all the high end finishings details you insist on – granite counter, stainless steel appliances, soaker tubs and plenty more. The townhomes at Surrey’s Solana real estate will “brighten your soul.” For more information and to priority regsiter call 604.780.8806 or visit www.solanatownhomes.com. Offering spacious two and three bedroom floor plans, these Serenity Gardens Surrey townhouses are located in the heart of Fleetwood. This Surrey real estate development consists only of 41 townhome residences. Big and bright with nine foot ceilings on the main floor, electric fireplaces, granite counter tops, wood cabinetry, and full stainless steel appliance package, these suites at Surrey’s Serenity Garden townhomes are ideall situated close to shopping, sports complexes, hiking trails, public transportation, and access to Highway One. Now open at 15933 – 86A Avenue in Surrey is Serenity Garden town homes. For details, call 604.537.5951 or you can visit www.serenitygardenhomes.com for more info about these Surrey real estate residences. According to their marketing site: An exclusive new real estate Surrey Development of 40 luxury townhomes at Serenity Garden. Welcome to Serenity Garden Surrey : “Our mission is to build homes of exceptional quality and value… and is an organization that is committed to customer satisfaction.” Surrey’s Serenity Garden townhomes has all the elements of a perfect home. Spacious 2 and 3 bedroom town homes in Surrey’s real estate market provide ample room for your family to live and grow. Quality construction with premium finishes ensures lasting enjoyment and value. Located in the heart of Fleetwood Surrey with abundant shopping, services and excellent schools all just minutes away. West Coast living at its finest in Surrey property market at Serenity Garden townhomes. These townhouses are big and bright, with main floor featuring 9 foot ceilings and electric fireplaces. Kitchens have granite coutnertops, stainless steel appliances, and wood cabinets, both stylish and practical. Living in central Surrey, there’s unlimited opportunity for outdoor adventure and family fun. Modern sports complexes nearby cater to all ages and activity levels. Miles of trails and forested parkland provide endless enjoyment for hikers, cyclists, and horseback riders, all within driving distance from the townhomes real estate Surrey development at Serenity Garden. 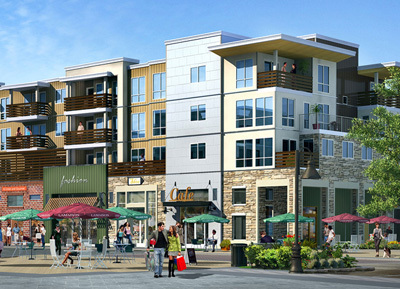 The new residential building at Morgan Crossing, South Surrey real estate’s most desired place to live. According to the presales launch marketing: If you shop till you drop it’s good to know you live in the same building. 60 stores, restaurants and lounges, gourmet grocer, wine store and gym. All at your door. Own from just $224,900 at the Central Condos at Morgan Crossing. Live in the middle o everywere in South Surrey. Hey wake up! Thi sis a very limited release of condominium preconstruction homes at Central Morgan Crossing, so register right now or you’ll miss it. Call 604.582.1336 or visit middleofeverywhere.ca today to become a VIP for the pre-sales Central at Morgan Crossing condos in South Surrey BC. It is time you owned a place with everything. And everything does not mean nice hardwood floors, and kitchens that look great for entertaining even if they’re hardly used for cooking. This is living with a gym, great restaurants, and lounges, cafes, shops, a pharmacy, and a gourmet grocery store right down the elevator at Central Condominiums in Morgan Crossing. Starting this march 2008 they are releasing a very limited number of pre-sales one and two bedroom condo suites as low as $244,900. Which in itself is pretty incredible. Don’t miss out. Register now! Live in the middle of everywhere at South Surrey’s Morgan Crossing Central condos. The Presentation Centre is open daily noon to 5pm (except on Fridays) and it is located at 24th Avenue, South Surrey, west of 160th Street. Sales and marketing by Maverick Real Estate Marketing for the Central Condominiums presales in Morgan Crossing. Read more about the Morgan Crossing masterplanned village at http://www.middleofeverywhere.ca/en/the_village/. Or you can visit online for more information about the Morgan Crossing Central Condos in South Surrey. For more details about The morgan Crossing Central condo preconstruction properties, please visit http://www.middleofeverywhere.ca/en/central/. Central condos come in a wide array of layouts including the larger 2 bed plus den suites that range between just over a thousand to 1144 square feet as well as standard sized 2 bedroom pre-sales condos that are less than 1000 sqft. The smaller one bedroom presales condos at Central Morgan Crossing are between six to 733 sq ft in size. Final phase of the pre-sales Surrey real estate condo tower at Escadad is now selling and you can move in as early as this summer! Three bedroom plus den condo apartments are one thousand one hundred and inety square feet (approximately) and start from just $341,900 (prices subject to change without notice). The Surrey Escada condo apartments include Quality, Location and Value. Quality – no upgrades necessary! All Escada homes include granite countertops, high-end stainless steeel appliances and much more! Location – A true Guildford Surrey address! Escada condos’ location is second to none- just a two minute walk from the shops and amenities at Guildford Town Centre! And Value – Escada is Surrey’s best buy – priced from just $275/sq ft. The presentation for the Onni Escada Surrey condominiums is open daily from 12 – 5pm (except Fridays) at #107 – 15380 102A Ave Surrey (at the corner of 154th Street). You can call 604.583.3343 or visit www.onni.com for more information about the Surrey presales Onni condo development at Escada. Sitauted in Surrey’s Gateway neighbourhood. Access is where connected urban living meets personal flair. With an astonishing selection of 13 individual floor plans at the Surrey condo Access to choose from, these condominium homes are priced from the low $200,000s and range from a 589 square foot one bedroom to a spacious 1,130 square foot two bedroom suite. Finshing details are Yaletown chic – gourmet kitchens, elegant bathrooms, porcelain tiling – just minus the skyrocketing Yaletown prices. And since the Gatewway SkyTrain station is practically at your doorstep at the Surrey Access Condo homes, you can always zip into downtown Vancouver for a special event or work in just 20 minutes. The Access Condos Surrey presentation centre is now open between 1 to 5pm daily except Fridays at 10822 City Parkway (at 108th Avenue just west of King George Highway) in the community’s luxuriously appointed amenities building. For more information abou the Access Condos in Surrey’s real estate market, please visit www.liveataccess.com or call 604.588.5005. Connected urban living at Access Surrey condos in this easy to get around, home, work or special events Access style living. 1 & 2 br condos / Jump on the Skytrain only steps from your door and connect to a world full of choices and freedoms of lifestyle where it’s easy to get around. Experience an innovative selection of Access Surrey homes with fantastic amenities positioned at the gateway to vibrant and newly revitalized Surrey town centre. Boutiques, restaurants, shops, services, and SFU’s Surrey Campus all within walking distance from this Surrey real estate development. Acces your new Access condo home from quiet City Parkway’s tree-lined streets with lush green space and fantastic urban viewscapes. Presentation Centre for Access Surrey real estate condominiums is located at 10850 City Parkway and Access by Parkway Projects Ltd. liveataccess.com is your place to register and learn more about this wonderful construction development. Life should be about having choice. Lots of choice. Whether it’s deciding if you’re going to walk to the grocery or take the SkyTrain, prefer to push weights in the gym or have a vigoroud tennis match with your best friends, even tossing a coin between pizza delivery or Thai currey in that funky little restaurant just down the street, you want ot live in a community where there are always new options to explore. Introducing Surrey’s Access condo residences where connected urban living meets personal flair. Ready to break a sweat? At access Condos in Surrey there’s no need to travel far for fitness. The Access Clubhouse’s lower floor is home to a fully equipped exercise room as perfect for early risers as it is for people who prefer a quick but intense aerobic session at lunch or the stress release of an after work session with the weights and dumbbells. Near and dear to my heart, there’a also a steam room at the Access Surrey Condominiums and a whirlpool that would be where you’d find me relaxing after a long day at the computer. And that’s no even counting the plethora of other recreation venues close by. From swimming or skating at the North Surrey Rec Centre to jogging the trails at the Green Timber Urban Forest or teeing off at a local golf course, whatever your style there’s something to fit at the Surrey real estate Access Condos. Access Residences offers a selection of 13 individual floorplans ranging from a 589 square foot one bedroom to a spacious 1,130 square foot two bedroom suite. Prices start from the low $200,000s. The Access Surrey presentation centre is now open 1 to 5 daily except Fridays at 10822 City Parkway in the community’s luxuriously appointed amenities building. For more information about this Surrey property development at Access Condos, please visit liveataccess.ca. A new and furnished show home and presentation centre are now opening at the Surrey Access Condo real estate development. Own from just $699 per month O.A.C. (see sales staff for details), be connected to urban living as the Access pre-construction Surrey condos are easy to get around – home, work or special events – that’s living at Access for you. Only 200 metres to the SkyTrain, the presale Access Surrey condominiums feature one and two bedroom floor plan layouts for you. The one bedroom suits start from just $214,900 and two bedrooms from $265,400 and they presales Access Presentation Centre is open daily one to five in the afternoon and closed on Fridays. Move into your new Surrey Access Home by mid November! The Display Centre for the Access Condos is now located at 10850 City Parkway and you can access by the Parkway Projects Ltd. – 10822 City Parkway Surrey BC. Call 604.588.5005 for additional details or you can visit the pre-construction Access Condos Apartment Surrey real estate web site at www.liveataccess.com. Some of the features of these new Surrey condos include: Jump on the SkyTrain only steps from your door and connect to a world full of choices and freedom of lifestyle where it’s easy to get around including downtown Vancouver and the airport. Also, you can access your new home from the quiet side of City Parkway’s tree lined street with lush green spaces and a fantastic urban viewscape. The residents and home owners at the pre-sales Surrey Access Condos and new apartment homes are also close to boutiques, restaurants, shops and services in addition to SFU’s Surrey Campus, which you can walk to. As well, you are in the forefront of this new Surrey real estate community where you can find fantastic urban amenities in the revitalized Surrey Town Centre. As location is often thought of as the most important defining factor in selecting a long term real estate investment for a home, the Surrey Access new condos and apartment homes certainly fit the bill. Just around the corner is Surrey Town Centre, a newly renovated and revitalized urban hub of shopping, dining and conveniences just a short walk away. Now entering its fifth phase of sales, the pre-construction Access Surrey condominiums are now selling and taking everything to the next level from quality design and superb tree lined street entryway. Urban living is great here at the Access real estate development and with much anticipation, the new Access condo floor plans have been released and available online where you can find an assortment of impressively large one and two bedroom new Surrey condos ranging from 742 and 1130 square feet in size. With James Hardie siding in West Coast craftsman style as well as beautifully landscaped green spaces provide an outstanding exterior façade and curb appeal for these new Access Surrey condominium residences. Just like a park outside, the interior finishes are to die for including gourmet kitchens with granite, stainless and bathrooms with soaker tubs and porcelain tiling. Lots of large windows provide great amounts of natural light into your Access Homes. 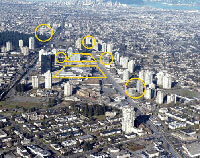 What’s So Special about Surrey Real Estate at Access Phase 5? Everything is here at Access including the Gateway SkyTrain station as well as everything that it can connect you to including the Westminster Quay, downtown Vancouver or MetroTown. In addition, those who drive have access to the Patullo Bridge anytime. The Yaletown influenced boutiques and dining arenas near the new Surrey condos at Access Residences simply put you in the most vibrant spot in the Surrey real estate market right now, so why would you need to go anywhere else? For students and teachers, the SFU Surrey Campus is also just a minute walk away, making the new Access presale condominiums a perfect choice for even real estate investors who want to rent their properties to university students. With many entertainment options and recreational pursuits just seconds away from your private new Access Condo home, you can enjoy sports centres, golf courses, fitness centres and art galleries in addition to an impressive 600 acres of parkland. The new presale Surrey Access condo property also offers community amenities that include a steam room, hot tub, exercise room and sauna for resident use only. Ready for occupancy in November 2008, you can now purchase your one or two bed suite at the pre-construction Access condos in Surrey today. Located in the Gateway neighbourhood of Surrey real estate market, the Access Condos are located at 10822 City Parkway. Thirteen different floor plans to choose from ranging from 589 square feet one bedroom suites to a spacious 1130 sq ft two bedroom home are offered at the pre-construction Surrey Access condos for sale. Finishing details are Yaletown chic with gourmet kitchens, elegant bathrooms, porcelain tiling and is designed for connected urban living without the skyrocketing Yaletown prices. The property perks for these pre-sale Access Surrey condominiums include an onsite exercise room, steam room, and whirlpool. Just steps to Gateway SkyTrain station so you can zip into downtown Vancouver for a special event or work in just 20 minutes. Easy access to SFU’s Surrey campus, Douglas College, and the soon to be renovated New Westminster Quay. The price point for the pre-sale Surrey Access condominiums is from the low $224,900. Changing the face of Surrey at Surrey Central will be the real estate development of Sky Towers, the two tallest towers between Vancouver and Calgary, and the cornerstone for the entrance into Central City. Applications are being processed for several more condo towers in Surrey, both residential and commercial, over the next 5 years. At the city’s heart is the Surrey campus of Simon Fraser University, along with shops, restaurants, and recreational facilities, all within walking distance of King George SkyTrain. BOOKING YOUR APPOINTMENT ENTITLES YOU TO A 3% VIP BONUS at the opening of the Surrey Max Living condos in the Guilford neighbourhood. GUILDFORD'S NEWEST: We want you to know how you can get the best pricing, best locations and the best VIP incentives* available at MAX condo pre-sales in Surrey BC. WEST SIDE URBAN FLATS: Our available preview appointments are now 40% pre-booked (since yesterday) and are available until Thursday June 12, 2008. Just call us at 604-583-3873. Alternate direct call numbers are below. YOU GET INSIDER INFORMATION...HERE...NOW: Owning a home at Surrey Guilford real estate at Max condo highrise tower is as easy as $359 a month OR starting from only $11,811 down. For a limited time, when you attend our VIP Sneak Preview Event, you will receive a 3% Savings off the Purchase Price. Lap up the urban dynamics of the newly planned $250 million Guildford Town Centre rebuild. Everything you need is right across the street or around the corner in this emerging West Side Guildford locale. Click here to see more details on the planned future revitalization* of Guildford Town Centre and see why MAX Condo pre-construction Surrey real estate is truly pure uptown living. Presale MAX Surrey living is all about being connected to shopping, food, and entertainment. Live well in designer Condominiums. THIS IS YOUR INSIDE TRACK WITH NO LINE UPS! Booking now gives you the first opportunity to find out all about MAX Condo Residences in Guilford real estate market, to secure a home of your choice, and to take advantage of the best initial pricing before the general public. You can secure your designer urban flat by filling out a selection sheet together with a fully refundable deposit of $1,000. This will guarantee an early VIP Surrey condo pre-construction purchase opportunity. Call the Sales Centre at 604-583-3873 or our VIP Hotline at 604-644-9700 today. *Being a MAX VIP and buying before the general public has clear advantages. You get an automatic 3% VIP Price adjsutment. MAX VIP 2% Purchaser Savings are available where you are represented by a Buyer’s Agency Realtor. Financial buy down incentives may be substituted for the 2 or 3% Purchaser Savings incentives based on the purchaser's, request. Any difference between the financial buydown incentive and the 2 or 3% Purchaser Savings shall be credited to the purchaser. Total purchase incentive may not exceed 2 or 3%. Incentives may be withdrawn without notice. Payments illustrated include principal, interest, CMHC fees if applicable, net GST (3.2%). Mortgage term is 3 years, 1 year buy down, (2 year buydowns also available) 40 yr. ammort., and promotional monthly payment’s of $359 or an initial investment of $11,811 are applicable to owner occupiers, insurance underwritten. Financial incentives are based on using a partnership lending institution exclusively selected by the developer. Ask for details. Starting prices are exclusive of net GST. Interest rates effective as of 22/05/08 and are subject to change. O.A.C., Shopping Centre future plans provided by Ivanhoe Cambridge Group with permission. E. & O.E. At MAX Living in Guildford Surrey real estate market, you can get the max savings on your pre-sale purchase of an urban flat home in this distinctively elegant and modern property. Designer condominiums are now selling at the Guildford Max condo urban flats where you will find affordable Surrey condos starting from the $190’s and two bedroom condos from the $240’s. Payments as low as $639/month through January 2011 is now available at the Guildford MAX Surrey condominiums for sale. Forty per cent of all pre-construction homes here are under the $250’s for great value. In a fast revitalization program, the Guildford real estate community is fast becoming the destination of choice for many first time homebuyers, families and even empty nesters. This new Surrey neighbourhood at Guildford presents the MAX urban flats and condo apartments where you will find an estimated injection of $250 million in infrastructure and community projects that lead the way from Port Mann Bridge and next to Guildford Town Centre. With many community amenities, shopping, big box retailers and recreational options, the pre-construction new Surrey condos at MAX living presales have the classic brick, textured beams and chalet style peaks that have become synonymous with contemporary West Coast architecture. From oversized windows to functional floor plans between 634 and 1169 square feet, the pre-sale Surrey condos at MAX Guildford are definitely unique with great rooms, flex rooms, storage, stylish kitchens, and five foot glass walk in showers with ceramic tile surrounds. The Hayer Homes builders are the developers that have brought the Surrey Max condo urban flats to the Guildford real estate market and they are also the master minds behind the Fuse project. Get MAX Savings Including GST! * EVENT STARTS THIS WEEKEND! As a valued past visitor of MAX Surrey Condos for sale we want to let you know that we are launching our surprise pre-sale Guilford MAX SAVINGS PROGRAM this weekend on the next 6 Guildford Surrey homes or until April 18/09... but only for new Surrey Condo contracts between April 3/09 and April 18/09. So don't miss this amazing savings event! 50% OF SURREY HOMES FOR SALE AT MAX CONDOS VALUE PRICED UNDER $260'S! Here it is in a nutshell: 1 BED + DEN from the $190’s, 2 BED from the $250’s and 2 BED + DEN from the $280's. The GST is included for all MAX Guildford Surrey condo sales during this event. GUILDFORDS NEWEST WESTSIDE URBAN FLATS: MAX Condo Living is a limited collection of 1 bedroom, 1 bedroom plus den, 2 bedroom, 2 bedroom plus den Surrey homes for sale designed for entertaining in elegance and style. These Urban Flats start from the $190’s. Be connected to shopping, food, and entertainment. Live well in designer Surrey Guildford Condominiums. Visit our New Guildford Surrey Condo Presentation Centre located at 10307 150th Street (across from London Drugs at Guildford Town Centre) today! Open noon to 5 PM daily. *MAX Surrey Guildford Condo Sale PAY NO GST SAVINGS PROGRAM is available for specific MAX Condominium homes only on a first come first serve basis upon unconditional agreements of purchase and sale. Reduction of $115,000 is based on pricing from May 2008. Promotion for these pre-sale Surrey Condos for sale is available on contracts written between April 3, 2009 and April 18, 2009 or on a maximum of 6 contracts written during this period. This offer may be withdrawn without prior notification, so act quickly and save! Starting prices for the presale Guildford MAX Surrey condos are exclusive of net GST. E. & O. E. Don’t miss out! Est 1920 and being redeveloped by Onni Group of Companies. The Nurses’ Lodge at Victoria Hill is one of the community’s many heritage buildings. Designed in 1920 by architect Henry Whitaker of the BC Government Public works Department, the building has become a remarkable example of Craftsman design with Tudor Revival overtones. This Nurses’s Lodge at Victoria Hill New West has been revitalized both inside and out and today, 9 residential units have been re-developed and renovated and will soon be available for sale! Including impressive new features such as stainless steel appliances, shaker-style wood cabinetry and marble countertops these New West Nurses Lodge at Victoria Hill homes also possess unique heritage features often imitated by designers today including bay windows, traditional front porches, original brick fireplaces and spacious layouts. Enjoy the best of both heritage style charm and new-age convenience in this unique boutique residence of 9 homes at The Nurses’ Lodge at Victoria Hill in New Westminster. Now previewing heritage homes! Show home for the Nurses’ Lodge Homes in New West, are located at 12 Royal Avenue East, New West and call for an appointment today with an Onni representative at 1.888.638.5611. 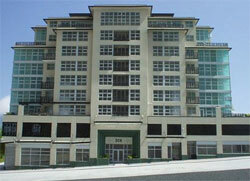 Receivership Sale This Weekend for the New Westminster condos at Amadeo will be happening at the end of May 2009. WHY: GET IN FIRST. ADS START NEXT WEEK. WHEN: 12PM TO 5PM SATURDAY & SUNDAY WHERE: AMADEO CONDOS - 306 6TH ST., NEW WESTMINSTER. If you are interested in learning more about this awesome opportunity to purchase a New Westminster receivership condo at basement bargain pricing at the New West Amadeo real estate development, please call Tara at 604 688 5566 x5 or email tara@condomob.ca - Tara Fluet. With real estate construction complete, the 18 storey Amadeo condo residences in New west is preparing for a grand opening in March 2008. Featuring one bedroom, one and den, two bedroom floor plans as well as a limited number of penthouse suites at Amadeo New Westminster condominiums, these homes are designed to satisfy discriminating purchasers with finishings including granite counters, hardwood flooring, premium stainless steel appliances. Decks are spacious so you can enjoy the unobstructed views from New West’s Amadeo condos prime location at 6th Street and 3rd Avenue, the highest point of the hill. From here it’s possible to see four bridges, so you can just imagine the sunsets you’ll experience at New Westminster Amadeo Condo Homes. These Amadeo condominium residences are anitipated to start under $300,000. Be sure to priority register online at www.amadeoliving.com for details and to be the first to experience Amadeo New Westminster condos. Spectacular views from all suites. 1 bedrooms usites at Amadeo Condominiums in New Westminster up to penthouses from 600 to 1800 square feet and concrete high rise starting from $279.900. Standard features that include views from all suites, high level finishes, granite, fireplaces, laminated hardwood floors, designer fixtures, stainless steel KitchenAid appliances and much more. You can now register for the Amadeo New West condominiums real estate properties online at their website. Actually see what you are buying. If you were looking for the best deals on Uptown New West real estate, the new Amadeo New Westminster condominiums are now selling via receivership basement bargain pricing. These low priced remaining Amadeo New West condos for sale include more than seventy five per cent of homes priced under the price point of $300,000! Located at 306 6th Street, New Westminster, you can call 604.688.5566 for more details. A real estate development team of Key Marketing Inc, Mierau Contractors Ltd and The Bowra Group Receivership means that you can purchase a new New West condo at the lowest prices in the past decade. You can visit CondoMob.ca for additional information. These completed Uptown New West Amadeo condos come complete with the 2-5-10 year home warranty as well. A New Westminster court ordered presale condo sale, the Amadeo condominiums are now selling! With luxury finishes, huge views and superior concrete and steel construction, the New Westminster Amadeo condos residences also feature the 2/5/10 year home warranty for all new home buyers. The Amadeo Condos are located at 306 6th Street in New Westminster and these pre-construction condominiums are ready for occupancy and move-in starting Spring of 2009. There are only 10 days left in this Amadeo court ordered sale of the remaining condominium suites in New Westminster real estate market that is launching between October 11-20, 2008 only. The presale New West Amadeo condos only feature forty one homes available at pre-construction pricing and they prices start from the $200,000’s, which represents great value for any first time home buyer. Register today for more information regarding the court ordered sale of the remaining presale Amadeo condominium residences in the New Westminster property market today. The Bowra Group is represented by Reid and Ed of the Dexter Associates Realty firm. Register for the receivership sales at the Amadeo New Westminster condos at CourtOrderedSale.ca today for more information and to get onto the VIP list for purchasing a new home. A collection of 36 detached and duplex style townhomes, Alexander Walk is located in the heart of Queensborough. Available in a variety of two bedroom with den floor plans, three bedroom and three bed with den floorplansthese Alexander Walk New Westminster townhomes feature full stainless steel appliance package, granite counters, main floor powder rooms (one plan with full bathroom on main), and wide-plank laminate flooring throughout the main living level. Built in security system is included. Prices of the townhomes at Alexander Walk in New West start at $359,900 and homes are ready for move in early in the New Year. The Alexander Walk presentation centre and display home are open noon to 5:00 pm Saturday and Sunday at 1211 Ewen Avenue in New Westminster. For more details, call 604.529.1211 or visit www.alexanderwalk.com. Now selling, this affordable luxury without the commute at New Westminster’s sought after presales real estate properties at Eagle Crest townhouses is now in the final phase of pre-construction sales. A Collection of spacious townhomes in the booming community of Queensborough New West Eagle Crest Estates townhomes is a stone’s throw from the riverfront, within minutes of shopping, schools and acess to nearby cities. A true master-planned community at Eagle Crest Estates is now taking shape. Right now, there are great three bedroom and 2.5 bathroom townhomes available for pre-construction pricing at Eagle Crest Estates in New West’s real estate market and they come in various floor plans between 1,320 to 1,850 square feet. Starting from just $389,900, the presentation centre for the newly constructed Eagle Crest New West townhomes is open Monday through Thursday at 3-5pm and again on Saturday and Sunday between 1 and 5pm located at 160 Pembina St. New Westminster. The point of sales contact fo the Eagle Crest Estates is Alana Bertini at 604.437.1123 or you can visit the website at www.alanabertini.com. An Onni real estate development, the Victoria Hill master-planend community now features the Grove luxury lowrise New Westminster real estate residences. You can’t afford to miss this property opportunity at the Grove at Victoria Hill as the condo homes are priced from just $265,900. Discover the collection of luxury low rise condominium residences surrounded by century old trees, 40-acres of preserved green space and panoramic views of the mighty Fraser River. Enjoy top of the line stainless steel KitchenAid appliances, granite countertops and a full list of best in suite finishings New Westminster real estate has to offer here at the Onni Grove condo homes at Victoria Hill. With a variety of homes ranging in size from 1 Bedrooms to 3 Bedrooms The Grove at Victoria Hill has something for everyone and is still within reach – you simply can’t afford to miss this purchase opportunity in the booming New West real estate market. Phase 1 is now complete and so you can move in today! Here are some sample condo homes still available for a limited time: 1 bedroom at 650 sqft priced from $265,900 and the investment downpayment is only $13,295 or a 1 bed plus den at the Grove at Victoria Hill which is 820 sq ft and from $300,900 with an initial payment of only $15,045. There are two beds (some with dens that range from $344,900 and $384,900 respecitvely and three bedroom Grove New West condos at 1,200 square feet in size and priced from only $495,900 and a initial pay of only $24,795 for a great family home. Presentation Centre for the New Westminster Grove at Victoria Hill condos is open daily from 12 – 5 except Fridays and is located at #120 – 285 Ross Drive. Contact Onni at www.onni.com or 1.888.489.7880. According to the most experienced writer on New Westminster pre-sales real estate developments, Spring is definitely in the air here at Victoria Hill, Onni’s spectacular, 65 acre master planned community in New Westminster real estate. Flowers are blooming, treeds are decking themselves in fresh greenery, and the first pre-sales homebuyers are already moving into the first phase of The Grove at Victoria Hill. It’s all about exciting new beginnings. Centred around a vibrant, open courtyard, The Grove at Victoria Hill in New West is affectionality referred to as the Crowning Jewel of Victoria Hill. Here, old growth trees imported from around the world, a legacy of Onni has meticulously preserved throughout the entire property at Victoria Hill Grove, provide shady resting spots in summer and a magnificent natural grandeur throughout all four seasons. Tehrea re park benches and wlaking trails, lawns and flowerbeds, and an irrestitable ambiance of being in a private parkland as Susan explains. At the bottom of the slope of the Grove at Victoria Hill residences in New Westminster’s real estate market, a large pond wil sparkle in the sunshine. The Grove condo homes and townhomes procie outstanding value and flexibility to home buyers as discussed in this latest news article about the New West property at Victoria Hill. An evolving community – In addition to the many onsite amenities, Onni Developers is building for residents of Victoria Hill New Westminster – fitness centre, movie theatre, and meeting rooms to name just a few – New West itself is home to an array of recreational, educational, and just plain fun things to do that will keep you entertained all year long. There’s live performances at the Massey Theatre, swimming at the Canada Games Pool and Recreation Centre just upt he street from The Grove at Victoria Hill, year round ice skating at Moody Park, plus plenty of opportunities to expand you rmind at the main campus of Douglas College or the Justice Institute. And don’t forget New Westminster real estate’s Queens Park just across McBride Boulevard. Soon to be connected directly to the pre-construction Grove at Victoria Hill by a pedestrian overpass and boasting features including rose garden, tennis courts, theatre, baseball diamond and gymnastics program that’s acknowledged as one of the Lower Mainland’s finest, it’s hardly surprising this is considered New West real estate’s flagship municipal park. The Grove at Victoria Park pre-sales New Westminster real estate property is a collection of nine low-rise buildings offering a broad range of floor plans – over 50 in total. The presentation centre for the Grove condos at Victoria Hill is located at 102 -285 Ross Drive and is open everyday (not Friday) between noon and 6pm in New Westminester. For more details about the New West Grove condominium homes in this spectacular master planned community of Victoria Hill, please call 604.523.9393 for more information about this award winning development or you can visit onni.com. Now selling from $749,900 to $899,900 and The Point Penthouse condominium residences from 1,590 to 1,955 square feet, you can now visit the New Westminster Point condo presentation centre and show home. Past the pre-sale stage, The Point condos are ready for you to move-in today and they feature such floorplans as a three bedroom plus den that is about 1,995 square feet in size. The Onni Point high-rise tower in New West is located at #2 – 610 Victoria Street in New Westminster and is open daily from 12 to 6pm (except Fridays). You can call now at 604.522.8813 to book your appointment or you can visit www.onni.com. Other Pacific Northwest and Seattle real estate developments are online here. Written by Tracey for the New Home Buyers Guide of Greater Vancouver 2008. New Westminster resides along the north bank of the Fraser River and is easily accessible by transit (New West has five SkyTrain stations) and several major highways including Highway 1. New West’s unique heritage character further enhances the City’s liveability and attractiveness for businesses and recently has seen rapid residential development. This has attracted young homebuyers, couples and empty nesters, who are also drawn to New Westminster’s relatively affordable housing prices and liveability. Seniors Money Canada has announced that it is expanding its reversemortgage operations into Western Canada this month, in direct competition with veteran the Canadian Home Income Proram, which was founded in Vancouver. “The extended network will enable the company to serve the financial needs of more than 4.3 million Canadians, 60 years and older,” Nick DiRenzo, president and CEO of Seniors Money Canada, said. The group’s Senior Money Loan helps older to free some fothe equity in their homes. DiRenzo said that the average loan is about $75,000. There are more than 2,351,000 homes owned by those 60-plus, and over 60 per cent are mortagge free, he noted. The amount seniors can borrow depends on their age and the appraised value of their home. Seniors Money Canada will lend on a scale of up to 15 per cent of the home’s value for someone at age 60 and up to 45 per cent at age 90. The variable interest rate is 7.25 per cent. A name synonymous with the old Expo lands in Vancouver’s False Creek communities, Concord Pacific is now at it again, planning a multi-phased master-planned community called the Concord Gateway Richmond. According to the developer’s latest news plush, much of 2008 will be spent on planning and development of the neighbourhood and 1000 stylish homes that make up the Concord Gateway real estate community. Development updates to registered clients will follow periodically throughout the year. You can view more information about the Richmond Concord Gateway project online at www.concordgateway.ca. Richmond is a progressive and regional hub with high density residential areas, commercial centres, entertainment, shopping, and recreational facilities. The Official Community Plan encourages a diversity of Richmond housing forms at a range of different prices in order to accommodate all ages, income ranges, and family structure. A significant portion of the new real estate Richmond development is multi-family housing. High density multi family property development in Richmond are concentrated around the city centre. Housing ranges from Richmond condominiums to medium priced homes, all the way up to exclusive executive waterfront residences. One waterfront townhouse complex and three floating new real estate home developments in Richmond in Ladner have their own moorage. Fullerton Richmond Condos - 2 for 1 Sale! 2 Bedroom Condos for the Price of 1 Bedroom! Only 6 Richmond Condos for sale remain. All Fullerton Richmond condo residences are close to 1,000 sq. ft. and priced between $336,800 and $349,800 (including net GST). Right now, you can get 2.5% financing with possible savings of an additional $13,000* Now you can LIVE LIFE FULL ON in an affordable 2-bedroom Richmond Fullerton condo suite. Along with the extra space, you can also enjoy Fullerton Condo's fresh urban vibe, upscale interior finishes and a host of on-site amenities. It is ideally located just off Garden City Richmond real estaet market and Westminster Highway for fast and easy access into Richmond and out to other parts of Greater Vancouver. The pre-sale Richmond Fullerton condos for sale really does have it all and now you can too with 2-bedrooms for the price of 1. For more information on this exciting offer at the Fullerton Richmond residences, please contact us at: 604.899.8800 (English) or 604.889.8800 (Chinese) Or visit our Richmond Fullerton condo open house Saturday, February 28 from noon to 4:00 pm. *Limited time offer. Some restrictions apply. Calculations based on 75% financing net GST, 2.5% 2-year fixed mortgage rate, 25 year amortization OAC. Savings compared to posted rate of 5.15% from February 4, 2009. Offer subject to change without prior notice. All numbers for these Richmond Fullerton Condo mortgage rates are for general reference only. This is not an offering for sale. Any such offering may only be made with the applicable offer to purchase and agreement of sale contract and disclosure statement. Richmond Fullerton Limited Partnership. E&OE. Published in the New Home Buyers Guide of Greater Vancouver and written by one of the most recognized preconstruction condo overview writers S. Boyce, here is a bit more about the Modena Richmond condos that are opening sales soon. No question about it, Richmond is hitting the big times. From shopping, fine dining, or an ight of live entertainment at the River Rock Casino Resort to golf, galleries, and fish and chips in Steveston Village, the word is out – Richmond is a great place to call home. And here in Richmond Modena’s presentation centre, it’s clear homebuyers are embracing this vibrant, distinctly city-savvy lifestyle. There’s a contagious enthusiasm as people check out the floor plans and scale model. One couple are engaged in a lively debate on whether it’s four or actually five minutes walk from Modena Richmond preconstruction condos to Richmond Centre. One thing they do agree on, Modena Living is definitely close to everything they want. “This truly is an outstanding location,” says Dave Webster, sales and marketing director with McLean Homes. “You’re less than two blocks to the new Canada Line Station, ther are three major shoping malls plus all the big box outlets, Cook Elementary is right across the street, and Kwantlen University College is just minutes away.” But as I’m about to discover, there’s much more to Richmond’s Modena Condo homes than a great location – this collection of boutique residences has a personality all its own. The display suite at Modena apartment homes immediately feels soothing and tranquil – a stylish place of relaxation. Wide plank laminate flooring with asubtely grey coloration visually expands and lightens the open flowing floorplan. On the far side of the Modena condo living room, a square fireplace floats in the middle of a square, concrete mantle framed in wood. The logts are driftwood – a pleasing departure from the norm and a detail that’s totally in keeping with Richmond’s riverside setting. The Modena Condominium kitchen is stellar – LG appliances, including a five burner gas rnage and one of wider, French door refrigerators that fit flush with the counter for the uncluttered, modernist look. I’ve always found so appealing. Add in the granite countertops at the pre-construction condos at Modena Richmond and horizontal grain cabinetry, and you’ve got a classy workspace that says: let’s get cooking together. In the ensuite, I discover the same meticulous attention to detail: square, under mounted sink, plenty of drawers – after all, can you ever have too much storage? – and the elegance of marble countertops. And yes, Dave assures me, the wooden closet organizers at the Modena boutique condos in Richmond BC in the walk through closet are included! Comprised of a 37 suite, low-rise Modena condominium flanked on either side by 13 three level townhomes, there’s an angular rhythm to Modena’s exterior architecture, a vibrant interplay between horizontal and vertical lines. Featuring the brick facades an dplanter boxes of classic browntstones styling, each Modena townhome also has an utterly contemporary, angled front window that extends two floors up and reminds me of a wind-filled sail. Their outdoor spaces – all three of them – are amazing. That’s right, each Richmond townhome at Modena sports a front and a rear patio in addition to a rooftop terrace that’s open on two sides yet totally separate from your neighbours – definitely the place where you’d find me most summer evenings watching the sunset as I fire up the barbeque. And here’s yet another bonus, Modena Richmond condos and townhouses also proudly boast Richmond’s first Co-Op Car – so when you do need the convenience of a private vehicle, you’re good to go but without the hassle and expense of owning a car yourself. Modena Townhomes and Condos in Richmond BC is located at 6600 Cooney Road and offers a selection of one, and two bedroom condominiums priced from $248,000 plus 13 brownstone inspired townhouses from $529,900. The presentation centre and display suite are open noon to 5:00pm daily except Fridays at 8131 Westminster Highway in downtown Richmond. For more information about Modena Condos and Townhomes please visit www.modenaliving.com. About to celebrate its grand re-opening, the Richmond BC Modena townhomes and condominiums brings a selection of 37 low-rise condos plus 13 brownstone inspired townhomes to central Richmond real estate market. Located near Cook School and onlyu steps from Richmond Centre shopping and the new Canada SkyTrain Line, almost half of the pre-sale Richmond Modena’s one and two bedroom condo suites are built to meet the city’s Affordable Housing Strategy, making them especially appealing to first time homebuyers and seniors. The Modena Richmond real estate low rise section wlll be flanked on both ends by ground oriented presale Richmond Modena Townhomes in a variety of two and three bedroom floor plans. For more information about these new affordable Richmond condos and townhouses for sale at Modena residences, please priority register at 604.273.6580 or you can visit www.modenaliving.com. Discover a new Richmond neighbourhood called Meridian Gate by Polygon. An exciting address in Richmond’s newest neighbourhood, Alexandra Gardens. West Coast contemporary apartmen residences in an evolving area that will soon be home to new parks, greenways and a village-style shopping centre. Prices from $269,900. Presentation Centre for Meridian Gate Richmond is at 9191 Odlin Road Richmond, BC. Telephone number is 604.279.5418 or meridian@polyhomes.com. Final release of spectaculr two bedroom presale Richmond homes at Meridian Gate Alexandra Gardens are now on sale starting from $349,900. The presentation centre for this new Richmond condo development is located at 9191 Odlin Road in Richmond and is open noon to 6pm. You can call 604279.5418 or email meridian@polyhomes.com for more information. Why we chose Meridian Gate. “the Alexandra Gardens neighbourhood is close to everything we love: great shopping, fabulous restaurants, and lots of parks and walking trails. We’re excited about the Meridian Club too… hosting pool parties, movie nights, and to have a guest suite for our out of town friends!” Ada and Jeffrey. The Alexandra Gardens Merdiian Gate apartment condo residences are by Polygon Homes. Onni is pleased to present the first glimpse of the future Steveston Waterfront at Imperial Landing. The final phase of our award-winning Imperial Landing master-planned community in Steveston will feature a mixed-use neighbourhood of low-rise waterfront condos, exclusive luxury townhomes, and some of the finest restaurant and retail spaces in the Lower Mainland. Walk out your door onto the water’s edge boardwalk at Stevestone Waterfront Imperial Landing that stretches along the Fraser River – stop at one of the many piers or lookout points and watch the boats drift past. Explore the shops in the village or pick up fresh seafood at the famous Fisherman’s wharf. Coming Soon to Steveston is the Imperial Landing low-rise condo homes. Visit www.onni.com for more information. Now selling contemporary living condominium suites your way, these Camino Condos in Richmond are only 25 minutes from downtown Vancouver, with Yaletown style of design and you can have it all at this real estate development in Richmond BC. Sales are hot and they include one bedroom condos from $327,000, two bedroom condo Camino Richmond from $398,000 and three bedroom suites from $482,000. Marketed by Leon Hsu, William Wu, Jamie Cai and Frank Gu, and developed by MingLian Holdings Ltd., the Camino Richmond condos are selling fast. By Concord Pacific, the Fullerton condominium homes is about living a full lifestyle in modern Richmond. These stylish and contemporary condo homes are now available. Full on Fun: At Fullerton Richmond condos by Concord Pacific, you get the full deal: full on style, full value, full-on fun! With a fresh urban vibe, upscale quality, affordable entry prices for presales, and easy access to Vancouver and Central Richmond, Concord Pacific’s Fullerton condo homes is their first condominium development in Richmond and it delivers everything you need to live life to the fullest. Seek out excellence. Inspire yourself to live full – every day. With full on style, the Concord Pacific Richmond Fullerton homes provides: a seamless melding of urban style and smart design, Fullerton Richmond offers upscale quality and standard features you don’t usually see in this price range. Stainless steel appliances, a spa-style bathroom, granite kitchen coutnertops – all standard. And all this in spacious Fullerton condo suites, with views over Richmond and out to the mountains. 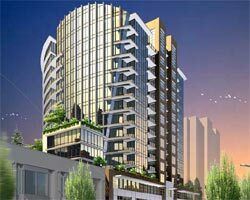 Full on Value at the Fullerton Richmond presales: What makes Fullerton unique? The famous Concord Pacific signature: cool, contemporary style and quality construction. You get a stylish sanctuary that’a s mart real estate investment and a smart space – even the smallest unit has a den so that you can live, work and entertain without feeling cramped. 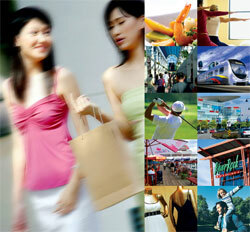 Concord Pacific is dedicated to be at the forefront of urban development property. With a reupatation for creating innovative communities, Concord Pacific has forged ahead with projects in Toronto and throughout the Lower Mainland, including now the Fullerton Condos. Visit http://www.concordpacific.com/fullerton/ for the latest. Move in now! Richmond’s Paloma 1 penthosues exclusive preview is on now! Key features of these penthouse condominiums include: energy efficient dual zone air conditioning and heating system, impressive kitchens with double thick granite coutnertops and wood cabinetry, gourmet stainless steel appliances by Jenn-Air, hardwood flooring throughout the main floor and 2 secured side by side parking stalls. The Paloma 1 penthouses are available by appointment only at 604.897.8123. Location is the key to any new real estate Richmond property. The mantra of real estate. Definitely the realty here at Paloma 2 Richmond condos. Situated 130 steps from the Richmond Public Market, 80 steps from the Richmond Centre Shopping Mall, and 60 steps from the future Canada Line Station, this gleaming Paloma 2 condo high-rise glass and steel Richmond pre-sales tower is where convenience intersects with cosmopolitan style. And what a merger it is – so many amenities within walking distance and the airport just minutes away. Landmark Architecture: The architectural design is dramatic. One façade is gently curved at the pre-sales Paloma 2 Richmond real estate condos with concrete accents defining a graceful “V” shape from top to bottom. Looking at the scale model, I find myself recollecting pictures of the elegant fans that always fascinated me when I read storis of the Orient as a child. Spanning the fourth floor podium of the pre-construction Richmond Paloma 2 condo residences is a green space that looks, well huge is the wod that comes to mind. Inside the Paloma Condo Display Suite, I discover that this Richmond property has more great ideas to wow me. The kitchen at Paloma 2 Condominium boasts the horizontal grain cabinetry that’s so in tune with the uncluttered, angular look of modernist décor. The counter is quartz with an undermounted sink – in my books a perfect blend of style, easy care, and smart design. There’s a built-in pantry at Paloma 2 Condo residences in Richmond real estate and built-in wine storage you can reach just as easily from the living room as from the kitchen itself. Floor tiles are oversized 12x24 gray toned porcelain and are meticulously placed to visually frame the Frigidaire stainless stel range – just another way Paloma 2 residdences demonstrate how no detail has been overlooked. Now almost three quarters sold, Paloma 2 Richmond condos is clearly appealing to home buyers who want space for living life in their own terms. Paloma 2 still has a good selection of two bedroom and two bedroom plus den homes available, all boasting a 2-10-10 warranty from Willis Canada Warranty – twice the building envelope protection you typically find. Prices start at $399,900. The Richmond Paloma 2 display usite condo is open noon to 5:00pm daily except Friday at 220 – 6088 No 3 Road. For more info, please call 604.276.9919 or visit www.palomaliving.ca. Vibrant and urban, Modena Condos Richmond brings a selection of 37 low-rise condominiums plus 13 brownstone inspired townhomes to central Richmond, BC. Located near Cook School and only steps from Richmond Centre and the new Canada Line, almost half of Modena Condominiums one and two bedroom condo suites are built to meet the city’s Affordable Housing Strategy, making them especially appealing to first time homebuyers and seniors. The low-rise section of the Modena Richmond condominiums will be flanked on both ends by ground-oriented townhomes in a variety of two and three bedroom plans. Modena Condominiums sales begin in January. For more information and to register, call 604.273.6580 or visit modenaliving.com. Busy, bustling Richmond is on the move with international style and cosmopolitan living. Now a new residential landmark captures this fast-forward dynamic with innovative design and impeccable taste. Modena Condos by MacLean Homes matches advanced architecture to modern luxury to create a community of fashionable apartments and sophisticated townhomes at the very heart of the urban action in Richmond. Only blocks from the new Canada Line, Modena condominiums in Richmond offers incomparable living spaces from 1 or 2 bedroom apartment residences to spacious three storey townhomes featuring 3 bedrooms plus flexible space.